Whether you're a student looking for supplemental learning or you're in the workforce but thirsty for knowledge, you don't have to drop thousands of dollars in tuition to enjoy a top-notch education from some of the best schools in the world. Computer photo by marcopako; university building photo by J-a-x. While most online resources won't grant you a college degree, there's a lot more to the internet than Wikipedia when it comes to learning. Whether you learn best through video or text, want to take a year-long course or just to touch up on a few topics, there are more than a few places online that can give you the full experience. In fact, there are enough that it can get quite overwhelming, so we've rounded up the best resources to make it all a bit more manageable. Here are some of the best places to get an education without ever leaving your computer. You won't really notice much of a difference between sitting in front of a screen watching a lecture and sitting in on a lecture in person—apart from the fact that if you do have a burning question, you can't raise your hand to get it answered. 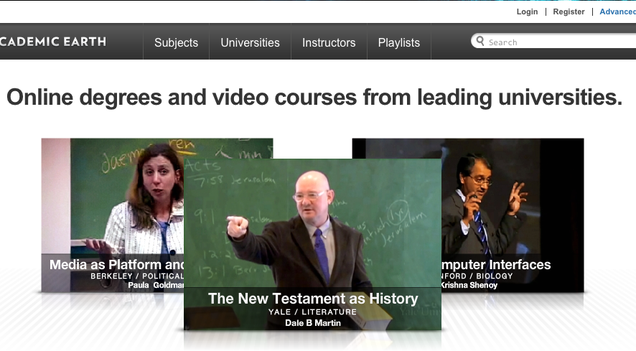 These video sites host lectures and full courses from some of the best schools on the planet. MIT began their OpenCourseWare initiative and published their first batch of courses online in 2002. In 2005, they formed the OpenCourseWare Consortium, which partnered with other universities to bring free education to the masses via the internet. Most courses offered on OpenCourseWare are available as free audio or video lectures for free, and under open licenses. The easiest way to find a course you're interested in is to search the OpenCourseWare Consortium site, which aggregates courses from over 22 universities in the US alone, including MIT, Johns Hopkins, Tufts, and the University of Michigan, and features courses on tons of different subjects, from business and economics to architecture and physics. Most universities have their specialties, of course (MIT, for example, has a bounty of resources in engineering), but between them all, you should be able to find pretty much anything you want. It doesn't include every university participating in the movement—for example, Yale seems strangely absent from the list, despite their open course initiative (which is, of course, yet another option)—but it's more than enough to get you started. 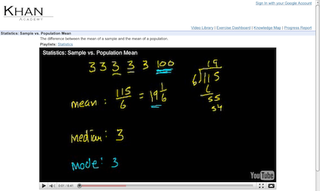 The Khan Academy is a bit more narrow than the others; as it isn't an aggregator, it's mostly the work of one man, an electronic chalkboard, and YouTube. It focuses mostly on math, from basic arithmetic to calculus, as well as a bit of science. It has a great reputation for teaching them in an understandable manner, though, so if you're in the market for those particular subjects, the Khan Academy is a great place to start (and, of course, it's open source too). Previously mentioned Academic Earth aggregates lectures from 19 different universities on a variety of subjects. The idea is similar to that of the OpenCourseWare Consortium, although it's slightly smaller and organized differently—they host all of the material on their site instead of merely linking you to other universities' pages. 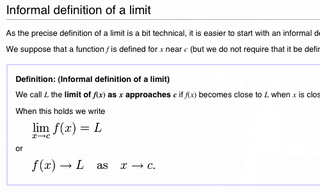 Its search engine also allows for slightly more specific searching—that is, instead of just searching for courses (such as Calculus II) you can search for a specific topic or class (such as limits). You can also browse by subject, such as Computer Science, Environmental Studies, Literature, or Philosophy and Religion, as well as check out their featured courses and lectures. Each lecture is rated by users of the site, so you know which ones are good sources and which few you might want to steer clear of. Academic Earth also contains some of the universities not listed in the OpenCourseWare Consortium, so while it isn't necessarily better, it is another good resource to broaden your search a bit. The last video resource is the ever-growing iTunes U (accessible through the iTunes Store at the bottom of the front page). If you're an iPod, iPhone, or iPad user, iTunes U is fantastic because you can download these lectures right to your device and take them with you. 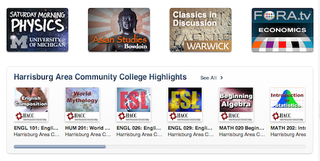 Furthermore, like Academic Earth, iTunes U allows for searching by specific topic or lecture, not just full courses. It also has a huge database, so if you're searching for something a bit more niche (like a course on American Presidents or Dead Media), you're likely to find it—the only problem is that it can get a bit overwhelming if you just want to browse courses. If you're looking for something more general, you're probably best off going through OpenCourseWare Consortium or Academic Earth, finding the course you want, and then looking it up on iTunes to download to your mobile device. That said, if you're looking to broaden your knowledge beyond the more traditional college courses, spending some time browsing iTunes U might yield some very interesting results. If you find it easier to learn reading at your own pace (rather than watch a professor drone on in front of you), there are a few sites that provide more text-based learning. In addition, if you find yourself getting lost in one of the above video or audio courses, you may find it easier to reference back to a text source. Unfortunately, probably since it's much easier to just videotape your lectures and put them up on YouTube than it is to write a book, you'll find less selection in this area—but we've still found several sites that can lead you through a number of subjects. Wikiversity (and its sister site, Wikibooks) is a fantastic resource for all kinds of information. 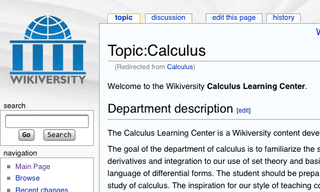 Users can contribute their own projects or research to the wiki, and it hosts a ton of textbook-like resources, organized in a tree—for example, at the top level you have categories such as Humanities, Life Sciences, Mathematics, or Computer Science. Going to the Humanities portal allows you to choose from subjects like Art & Design, Law, and Language, which then breaks down further into specific courses. Courses can provide you with anything from links to a Wikibook for that subject (which is a very well-done online textbook), courses on other sites (including some of the sites mentioned above), and online textbooks from other universities. If you're looking for text-based courses, this is the place to go. 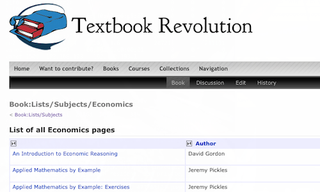 We've also mentioned Textbook Revolution before, and it deserves a little more attention. Textbook Revolution's goal is to bring together as many free textbooks on the net as they can. They've got a fairly good database too, which is searchable or browsable by subject (such as Biology, Economics, or Health Sciences) and license. Some of the books are pretty good, but it's a bit of a crapshoot at times—I, for example, only found one statistics book on the site and it left quite a bit to be desired. Other subjects had a few different books of varying quality, so you may find something that works—it's just not the first site I would go to. It's also worth noting that a few other universities offer online textbooks, such as Carnegie Mellon's Open Learning Initiative and the Supplemental Resources section of MIT's aforementioned OpenCourseWare (in fact, while OpenCourseWare focuses on video, they have a ton of other resources like online textbooks, lecture notes, and assignments for many of their classes—especially the aforementioned engineering classes they are known for). There doesn't seem to be a large database of which universities offer this, so you may have to search through universities manually (or see whether your chosen video course comes with an online textbook). We'd be remiss not to mention that, if all else fails, Google is a great portal to finding other sources and putting together your own education. If you've mastered your search techniques and obscure tricks, you should be able to find pretty much anything you're looking for just by doing an internet-wide search. Again, it isn't the first place I would go—it can get pretty overwhelming—but if you're looking for something really specific or can't find what you're looking for on the above sites, you may be able to find it on Google. Whether you're a current student looking for extra resources to help you out or you're just looking to expand you're learning, these sites should get you started down the right path. We tried to focus on the best options, but if you've got a favorite site that we didn't mention, share it with us in the comments.